In the wake of President Donald Trump’s announcement that the United States would withdraw troops from Syria, the public is divided over the issue, and about two-thirds say they do not think Trump has a clear plan for dealing with the situation in the war-torn country. 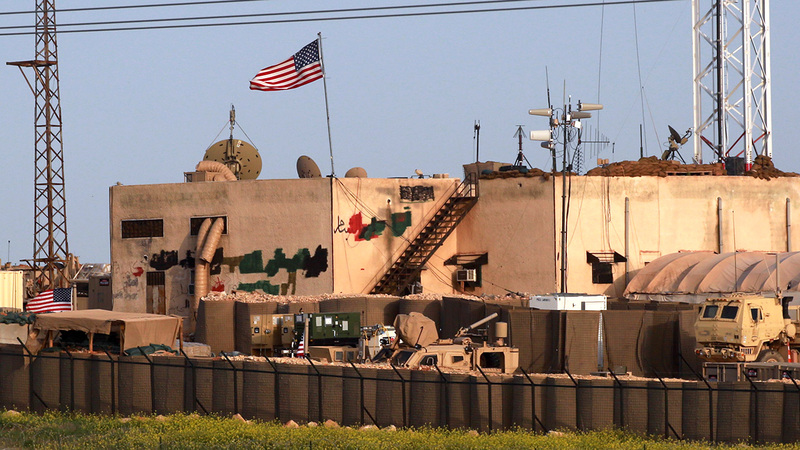 Overall, 43% of Americans say withdrawing American troops from Syria would be the right decision, while 45% say it would be the wrong decision. The new Pew Research Center survey of 1,505 U.S. adults was conducted Jan. 9-14 – before a Jan. 16 bombing in Syria in which 14 people were killed, including several American service members and civilians. Nearly six-in-ten Republicans and GOP-leaning independents (58%) think it would be the right decision for the U.S. to leave Syria, while 30% say it would be the wrong decision. The balance of opinion among Democrats and Democratic leaners is roughly the reverse: Just 30% view withdrawal as the right decision, while 60% say it is the wrong decision. There is an even wider partisan gap – 51 percentage points – in views of whether the president has a clear plan for handling the situation in Syria. Overall, 28% of Americans say Trump has a clear plan; a 56% majority of Republicans, but just 5% of Democrats, say this. 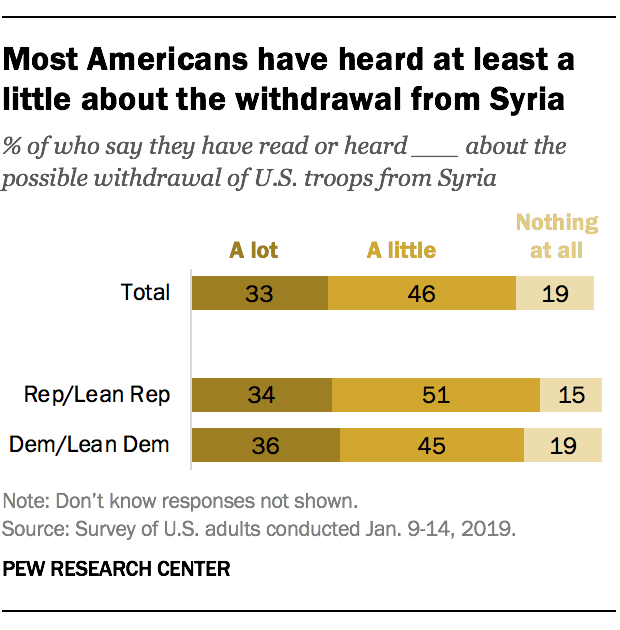 A third of Americans say they have heard a lot about the possible withdrawal of U.S. troops, while 46% say they have heard a little; 19% say they have heard nothing about this. Republicans and Democrats are about equally likely to have heard about plans for withdrawal. Yet among partisans who have heard a lot about the issue, the partisan gap over the decision to withdraw is even wider than in the public overall. Roughly two-thirds of Republicans who have heard a lot about the withdrawal (66%) say this would be the right decision, compared with 27% who say it would not be. Among Democrats who have heard a lot about the plan to withdraw, nearly eight-in-ten (79%) view it as the wrong decision, while just 16% say it would be the right decision. Note: See full topline results and methodology. Amina Dunn is a research assistant focusing on U.S. politics and policy at Pew Research Center. Young people less likely to view Iraqi, Syrian refugees as major threat to U.S.